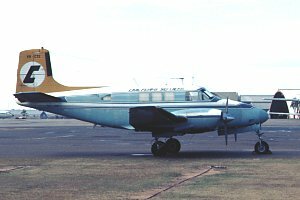 Beech Queen Air G-ARII at Moorabbin in April 1968. The following month, the aeroplane became VH-CTE. 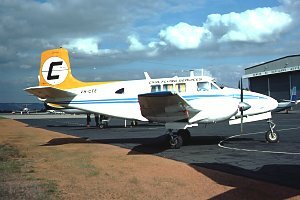 Beech Queen Air VH-CTE of Civil Flying Services at Brisbane, Eagle Farm on 30 June 1973. Although never registered to Adastra, this venerable aeroplane was leased for a time. 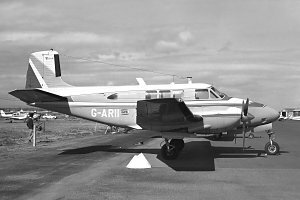 Beech Queen Air VH-CTE at Perth on 24 May 1975. What a difference a paint job makes! 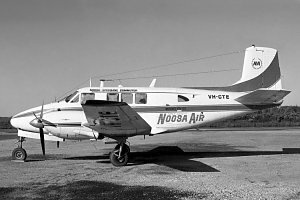 Beech Queen Air VH-CTE at Noosa in April 1978 in service with Noosa Air.